Join Neighborhood's mailing list and stay in touch. Neighborhood Pharmacy is an independently-owned and operated compounding pharmacy serving the many residents of Philadelphia, Pennsylvania since 2009. AT NEIGHBORHOOD PHARMACY WE PRIDE ourselves on giving personalized service that is compassionate and friendly yet also professional and efficient. We take pride in helping our patients and understand the challenges that people have especially in difficult economic times. We are not just your standard retail pharmacy as our services include but are not limited to; specialty compounding, long term care services, free delivery and much more. Neighborhood compounding pharmacy takes the time to listen and create medications to suit the unique needs of patients. 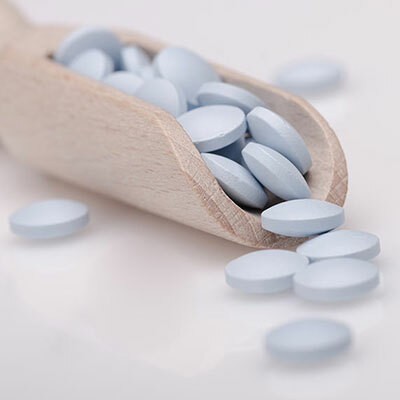 We are a fully equipped compounding pharmacy that can provide custom prescriptions free of dye, binders and additives. Not all compounding pharmacies are equal. 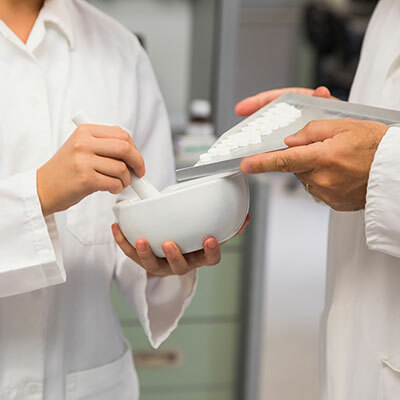 At Neighborhood compounding pharmacy our compounding process, attention to detail, and quality of the compounding components makes our formulations exceptional. Our experienced compounding pharmacists collaborate with patients and healthcare practitioners to provide better patient outcomes and innovative solutions for health and wellness success. We are PROUD to be a leader in the compounding pharmacy industry. I enjoy home delivery, and the staff are Polite and respectful. The pharmacists recommend products that are safe and affective. The pharmacy staff is professional and very hard working. Micheal went above and beyond to help when my insurance was being difficult during my radiation. Ketan is top notch as well. I'm glad to have found a pharmacy that works with their customers and hears their concerns rather than just looks at them as a number on file. Thank you once again. Neighborhood Pharmacy staff are very knowledgeable and they work very hard on behalf of patients to get them the medication they need.. This pharmacy goes above and beyond. The pharmacist, in particular, has done so on more than one occasion. I have an ongoing issue with my doctor's office not submitting my prescription refills in a timely manner and the pharmacist has personally dropped my medication off to me at my home more than once so that I would still have it in time. He is very knowledgeable, helpful and friendly. This is definitely by far the most positive experience I have ever had with any pharmacy. They are compassionate and definitely put the patient first. My son was sick and refused to take swallow his pills until Neighborhood Pharmacy made a compound for him and turned his pills into a cherry flavor solution that he loves! I been with them for years now they are very nice & polite , i love my delivery man we be busting it up..
My doctor told me the scrip I needed was a special compound and needed to be phoned in the Neighborhood Compounding Pharmacy. It was late and he said they wouldn't get it until the next day. The pharmacy had a delivery service but since we lived far from it, he wasn't sure it they would. The next day when I called, we were too far but they could pop it in the mail. We decided even though that was a good option, to just go pick it up. I spoke with Sea and not only was she professional and efficient, she was warm and caring. Even when I got there, the whole staff was polite nd courteous. I highly recommend using this pharmacy! Approx.2 years ago I was diagnosised with a very rare muscular disorder with other serious health issues...my dr uses and referred me to neighborhood pharmacy in philadelphia, I have never encountered such a sincere, extremely caring staff and not to mention hard working and never makes the patient wait...I have met the most caring pharmacist in all my years, his name is Mike. Mike has gone above and beyond to help me with certain stressful situations and my medication is always ready for pick up or to be shipped next day...the staff is just as wonderful n caring. I cannot tell u just how much I appreciate mike and his staff.....they really do go above n beyond for their patients, no matter how busy they are, they still treat you/the patient as #1! I would HIGHLY recommend this pharmacy....you will not be disappointed. KUDOS TO MIKE ON A JOB BEYOND WELL DONE!!! I will continue to use them! © 2009 - 2018 Neighborhood Pharmacy. All Rights Reserved.